I have been working on cleaning up my craft space this week and boy oh boy it has taken the creativity out of me, although I have discovered lots of long lost purchases!! It's a bit scary really. I thought I would try and get my creativity back by diving in and CASE'ing a card from the very front page of the catalogue. In the end mine turned out slightly different, but that really is the point. It's just a starting point for your creativity. I absolutely love the Jar of Love stamp set and the matching thinlets (everyday jars) they are fiddly ~ don't get me wrong. 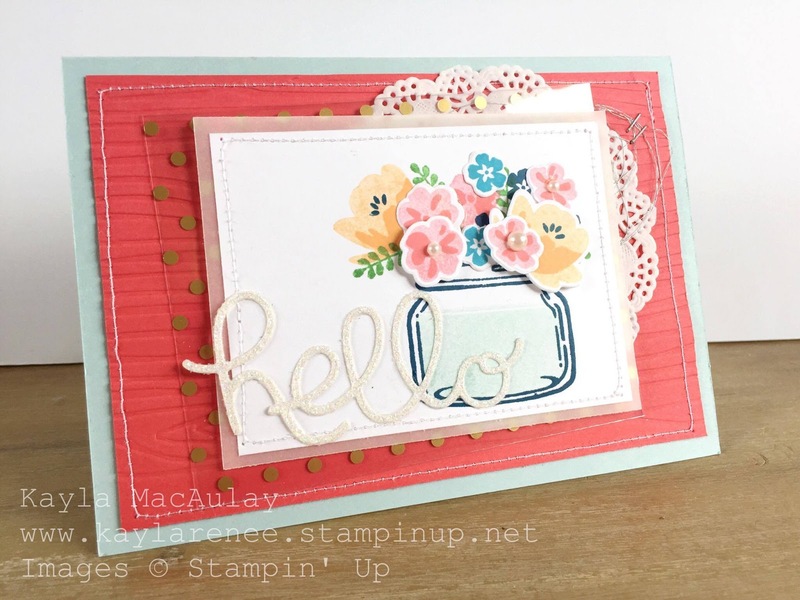 It's not a card you will whip up in five minutes (unless you are stamping superwoman) as there are a few components, but it is well worth it! 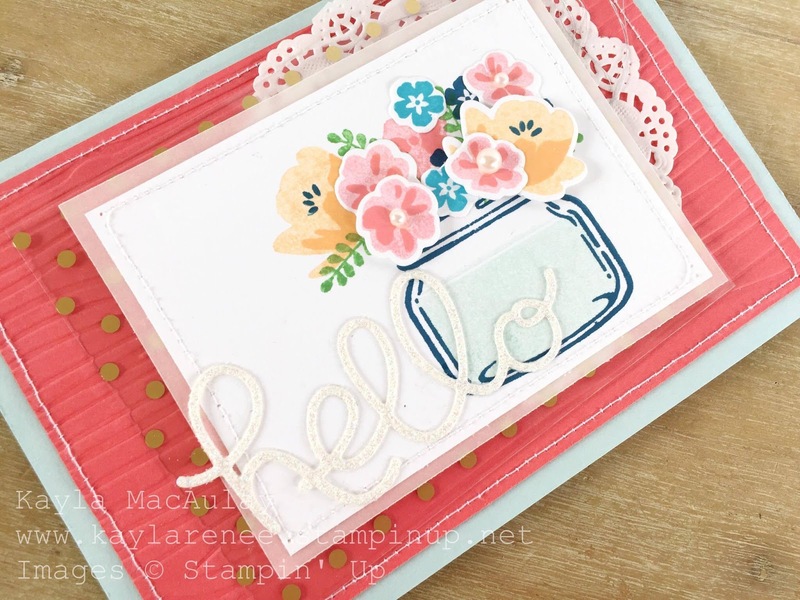 As you can see I have also used one of the gorgeous embossing folders to create some texture on this Watermelon Wonder cardstock. I love the woodgrain texture, it is by far one of my favourites. One of my favourite things to do when crafting is to add texture, whatever that may be. 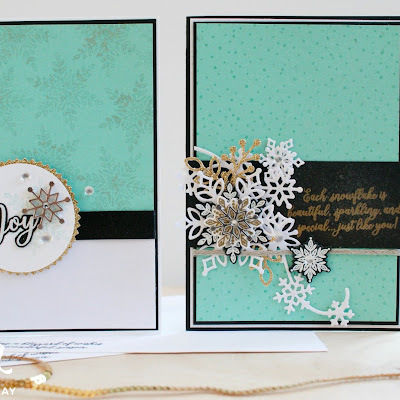 I have so many different textures on this card, from embossed card stock, vellum. 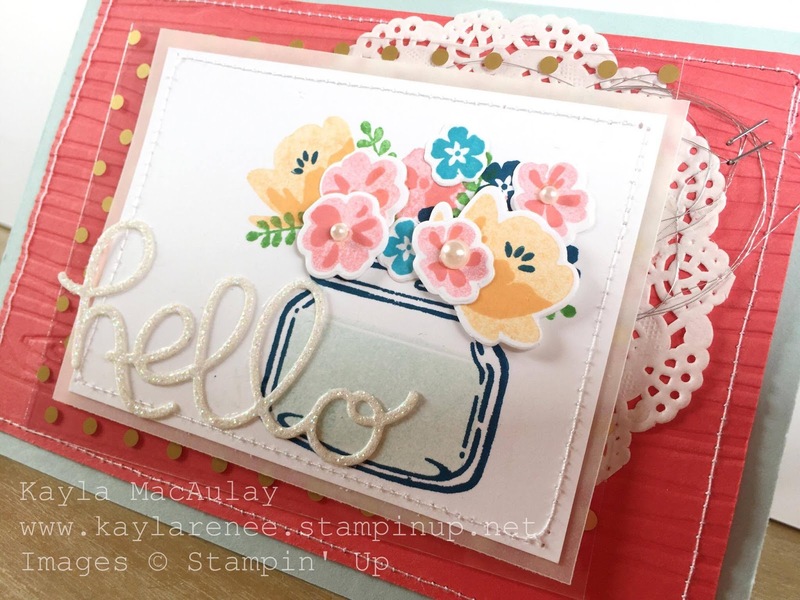 stitching, a doily, metallic thread, acetate, glittered card and even the dimension created from popping the base and the flowers up on dimensionals! I have used a variety of ink colours to create my 'jar of flowers' including; pool party, dapper denim, peekaboo peach, tempting turquoise, flirty flamingo and cucumber crush. I love the combination and think it works well. 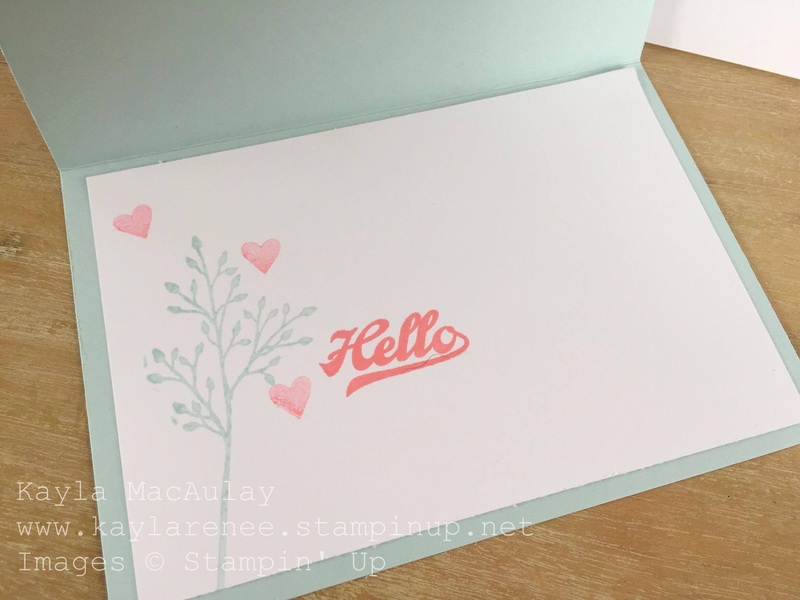 I couldn't complete the card without of course creating a stamped inside. I love this branch with the combination of the sentiment and some hearts. Makes it a little more beautiful on the inside. 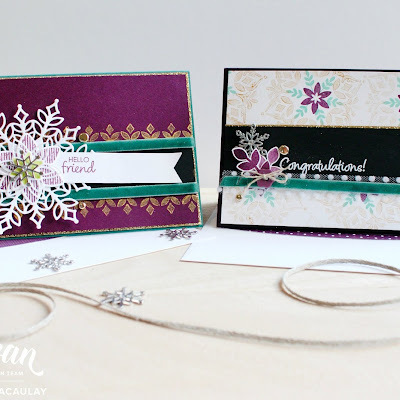 You can check out all the other Crazy Crafter's work in this Friday's highlights post here. They really create some amazing work and I am always left inspired! 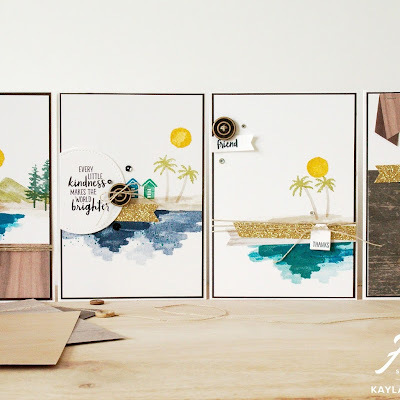 You can find the entire product list below of everything I used to create this card. 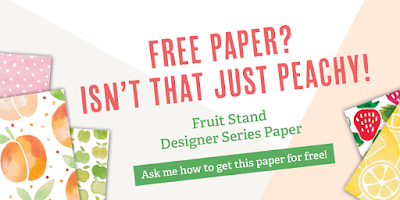 Remember that this month there is a promotion where you can BUY 3 GET 1 FREE on the gorgeous Designer Series Paper. 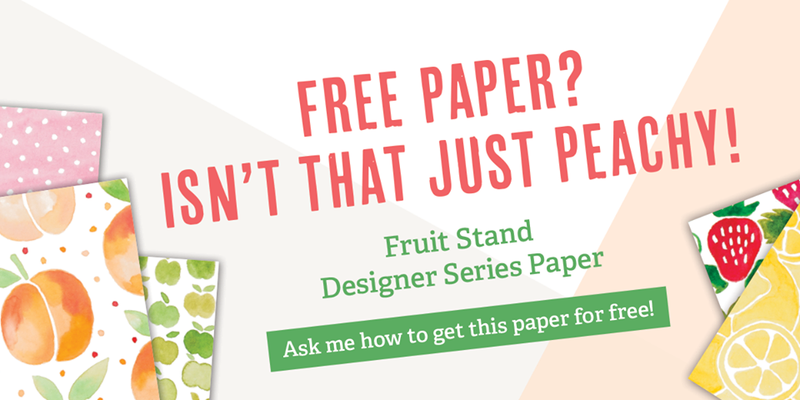 There are so many gorgeous papers on offer. You can find it under the promotional tab on my website. Be sure to check out the clearance rack while you are there!